Robert Sullivan was born in Holywood, Co. Down on 3 January in 1800, the son of a Kerry man who was stationed locally in the Revenue Service. 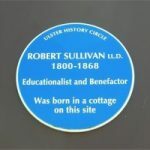 Showing great academic promise, the young Robert Sullivan was admitted to the relatively newly opened Royal Belfast Academical Institution, having been nominated by a local landowner, Mr Cunningham Greg of Ballymenoch. 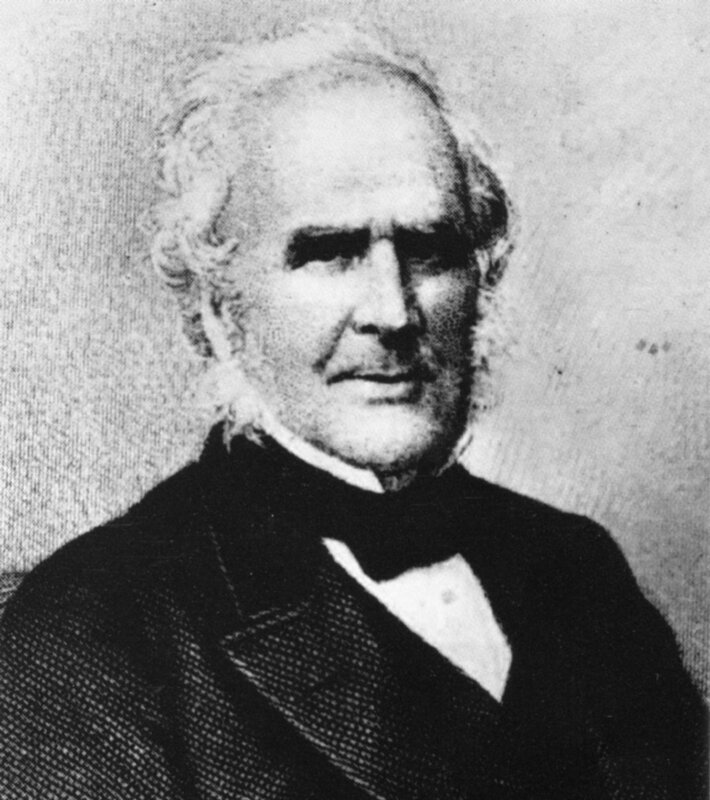 After a very successful school career, Sullivan entered Trinity College, Dublin in 1824. He was elected an Inspector of Schools in May 1832; one of four appointed by the National board of Education for the whole of Ireland. It was after this that he began to write a series of school text books on subjects such as spelling, English grammar, geography and an English dictionary. 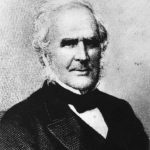 The Sullivan textbooks were used and sold throughout the English-speaking world and became the basis for his considerable wealth. In1838 he was promoted to the important office of Superintendent or Professor of the Teacher Training Department in Marlborough Street, Dublin. Through this and the use of his textbooks, his name became known and his lessons studied throughout the whole island of Ireland. He was called to the bar in 1838 and obtained the degree of LL.D. from his Alma Mater, Trinity College Dublin in 1858. 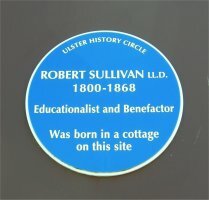 A generous man throughout his life, Dr Sullivan made numerous donations to educational causes including his old school, R.B.A.I., the Queen’s College, Belfast and for the erection and support of National Schools all over Ireland. He firmly believed and worked towards a type of schooling founded in Christian principles but essentially non-sectarian in nature. In 1859 he entrusted to his early benefactor Mr Gregg the sum of four thousand pounds to set up a National School in Holywood Co. Down where he was born: the original building, now beautifully restored and serving as the town library, is still to be seen there. After his death in 1868 the trustees of his Will were required to pass on more of his bequests to educational causes. 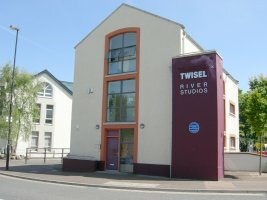 His executors were left a sum of four thousand pounds for the benefit specifically of the Sullivan National School in Holywood and the residue of his property, which amounted to over eight thousand pounds, was to be made available for the promotion of National or unsectarian education in Holywood. Thus it was that Sullivan Upper School came into being in 1877 and which not only bears the Sullivan name, family motto and coat of arms but also subscribes to Dr Sullivan’s principals of unsectarian or non-denominational education. 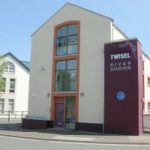 This successful surviving voluntary grammar school of over one thousand pupils is one of the most tangible reminders of the life of this remarkable educationalist whose remains, at his insistence, reside in the old Priory graveyard in the town of his birth and where his name is remembered with pride and gratitude.